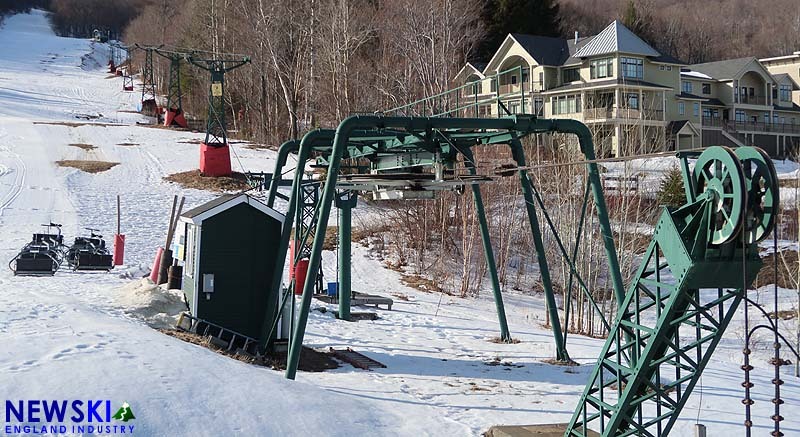 With snow still on the slopes, 2017 lift construction projects have already commenced in New England. 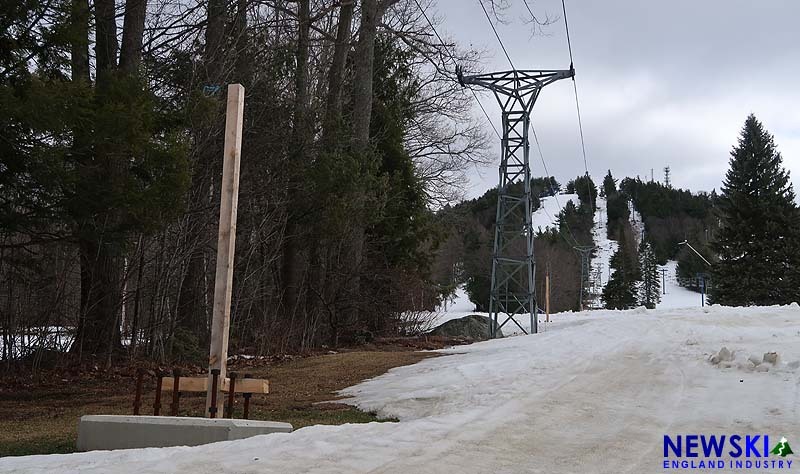 The take down of the original double chairlift at Pats Peak is already underway, as chairs have already been removed from the 1962 Mueller. 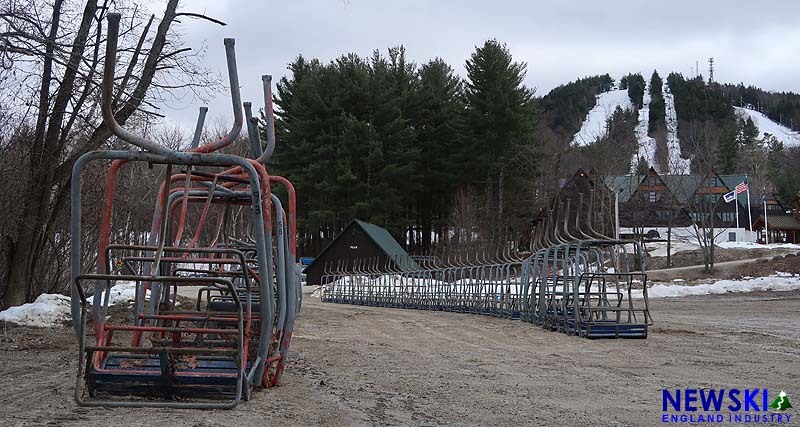 The former Snowdance Triple from Ascutney, a CTEC, has been staged at a nearby lot. Many of the new lift footings were poured last year to ensure an on time completion of the project. 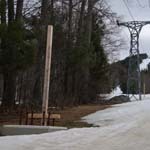 Meanwhile, at Sugarbush, chairs were removed from the 1964 Carlevaro & Savio Village Double in March. A fixed grip quad will be installed, possibly following a different, shorter line. A second quad will be installed on the Mt. Ellen side, replace the Sunny D double.